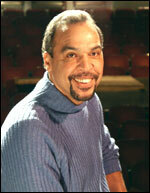 Charles Smith’s plays have been produced Off-Broadway and nationally by theaters such as Indiana Repertory Theatre, Goodman Theatre, New Federal Theatre, The Acting Company, People’s Light & Theatre Company, Penumbra, Crossroads Theatre Company, Penguin Repertory Theatre, Ujima Theatre Company, The Colony Theatre, St. Louis Black Rep, Seattle Repertory Theatre, Jubilee Theatre, Ensemble Theatre in Houston, Robey Theatre Company, and Berkeley Repertory Theater. His most recent play, Objects in the Mirror, received a developmental production at Goodman Theatre in 2016 and returned as part of the 2016-17 season. (Listen to a discussion of the play on NPR’s Weekend Edition.) His play, Black Star Line, was commissioned by and also produced by Goodman. Nine of his plays received their world premiere productions at Victory Gardens Theatre in Chicago. Three of his plays, The Gospel According to James, Sister Carrie, and Les Trois Dumas, were commissioned and produced by Indiana Repertory Theatre. Les Trois Dumas was also produced by People’s Light & Theatre, and by Independent Theatre in Adelaide, South Australia. His play Pudd’nhead Wilson, commissioned and produced by The Acting Company, enjoyed a twenty-two city national tour before being produced Off-Broadway. His plays Takunda and City of Gold enjoyed tours of the west coast. Charles’s work has also been produced for the HBO New Writers Project, the International Children’s Theater Festival in Seattle, and The National Black Theatre Festival. He is author of two Emmy Award-winning teleplays, Fast Break to Glory and Pequito. His other plays include, Freefall, The Sutherland, Jelly Belly, Young Richard, Cane, and Free Man of Color, which was also produced in Australia, New York, Los Angeles, and around the United States after receiving a Joseph Jefferson Award. He has received the John W. Schmid Award for Outstanding New Work, two Ohio Arts Council Individual Excellence Awards, an Illinois Arts Council Governors Award, Princess Grace Fellowship, the Cornerstone National Playwriting Award, the Joyce Award, The National Black Theatre Festival’s August Wilson Playwriting Award, the Theodore Ward National Playwriting Award, two Black Theatre Alliance Awards for New Work, the NBC New Voices Award, and numerous other AUDELCO, Jeff, NAACP, and Black Theatre Alliance award nominations. For more information about his plays, visit http://www.csplays.com. Erik’s plays have been developed at numerous regional theaters including Cleveland Public Theatre, American Stage, Victory Gardens, and Pittsburgh Irish and Classical Theatre and been published by Samuel French and Dramatic Publishing. His recent drama, Smith Unearthed, is about the surprising turn of events that boosted Joseph Smith from life as a small time con-artist to Prophet of the Mormon Church, and has been developed at the International Society of Contemporary Literature and Theatre Conference (Estonia), the Gwen Frostic National Reading Series at Western Michigan University, Brick Monkey Theater Ensemble, and Pittsburgh Irish and Classical Theater. In 2007, Erik was named a Kennedy Center Faculty Fellow for his work as a new play development specialist; in 2010, he was appointed as Director of Innovation for WordBRIDGE Playwrights’ Laboratory after many years of new play development research. As a new play dramaturg he has worked in a variety of venues, most recently as part of Steppenwolf Theater Company’s First Look Series and The Playwrights’ Lab at Salt Lake Acting Company. Over the past decade he has been a guest artist and taught master classes in playwriting, new play development and narrative theory in a variety of national and international venues, including the St. Petersburg Academy of Dramatic Arts “New American Plays” Conference (St. Petersburg, Russia), and Lubimovka Playwrights Laboratory at Teatr.doc in Moscow, Russia. The Art of Theatre, Erik’s series of introduction to theatre books coauthored by William Missouri Downs and Lou Anne Wright, is in use at more than 100 colleges and universities.